The Rio clog sandal is one of our most popular designs and has a perforated open toe front and an adjustable ankle strap. 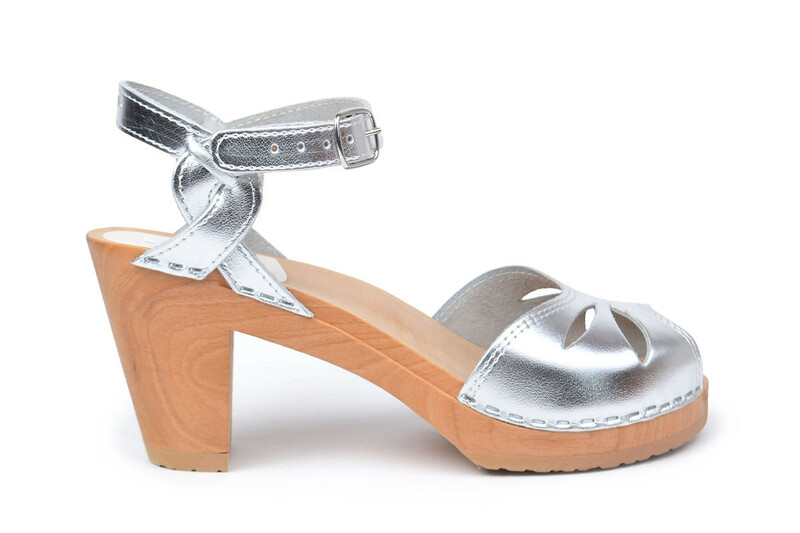 Here the sandal comes in silver leather. This high heel clog is feminine and retro, but very wearable and easy to mix with different styles.